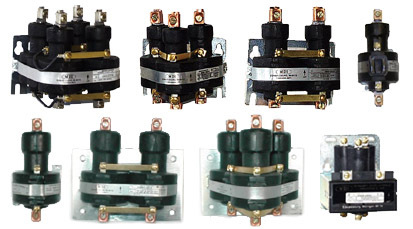 Contactors are hermetically sealed with high quality glass to metal seals. The coils are wound on compact nylon bobbins and molded onto the metal tube to provide minimum power loss. This allows for low coil power required to actuate the contactor. This also enables the units to handle high loads with minimum derating due to higher ambient temperatures. Available in all standard coil voltages, in single, two and three pole arrangements. Other coil voltages available upon request.